I’m Ed Smith, a Sacramento motorcycle accident lawyer. 2016 was a difficult time for motorcycle riders around the country with 4,976 deaths caused by traffic accidents. California leads the nation with the number of motorcycles, which isn’t surprising since it has the highest population in the country. In 2016, there were 842,648 registered motorcycles in the state. Of course, this leads to an increased number of motorcycle crashes, many of them caused by negligent drivers of motor vehicles. Those numbers could be reduced if both motorists and motorcycle riders used more caution. Following are some safety suggestions for motorcycle riders. Use extra caution when you are in a vehicle’s blind spot. Watch for aggressive drivers because they are more likely to change lanes faster and pull in front of your bike. Only lane split when traffic is moving under 30 mph. Lane splitting at speeds higher than 30 mph gives you less time to make an emergency maneuver. Never lane split passing a big rig or tall vehicle. Avoid going 10 mph faster than the remainder of the traffic. If you’ve never taken a defensive riding course, do so. 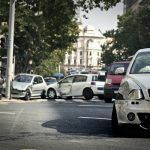 It can make a big difference when an accident is looming. Use extra caution in intersections. Passing other vehicles or weaving can cause a collision. Don’t speed in an intersection. Some drivers might not be prepared to stop if they have to. When approaching an intersection, keep your hands on the clutch and brake levers just in case an emergency maneuver is needed. Try to stay in the left side of the lane in case a vehicle planning a left turn tries to share the lane. Use caution when you spot a car approaching with a turn signal on. Motorists often say they didn’t see a motorcycle coming or had the wrong signal on. Headlight modulators can be a good idea since the high beams they offer can alert negligent or distracted drivers. Learning avoidance maneuvers is a good idea. However, remember to practice them on a regular basis. Using defensive driving and being extra cautious when out on a motorcycle can help avoid a crash. However, if you or a loved one is hurt in a collision caused by a negligent driver, motorcyclists have rights just as others do. 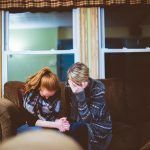 Compensation can be claimed for medical bills and associated expenses, time lost at work and the pain and suffering caused by the collision. 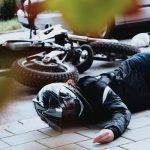 An experienced motorcycle accident attorney can explain to you what your rights are and help by building a strong case for compensation. I’m Ed Smith, a Sacramento motorcycle accident lawyer. 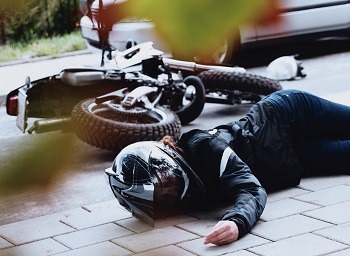 Motorcycle riders who are physically harmed by a negligent driver or entity are entitled to claim fair compensation to pay the expenses caused by the accident. I can offer free, friendly advice about your situation. Just give me a call at (916) 921-6400 in the Sacramento area, or if you are calling long-distance, use my toll-free line at (800) 404-5400. 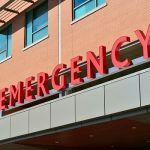 Over my 36 year career as an injury lawyer, I’ve assisted many Sacramento residents in all types of car accidents and cases of wrongful death. As a milliondollaradvocates.com member, I join with other trial attorneys who have garnered more than $1 million for a client in a verdict or settlement.